In what was supposed to be a two-part series, we find ourselves at part four. 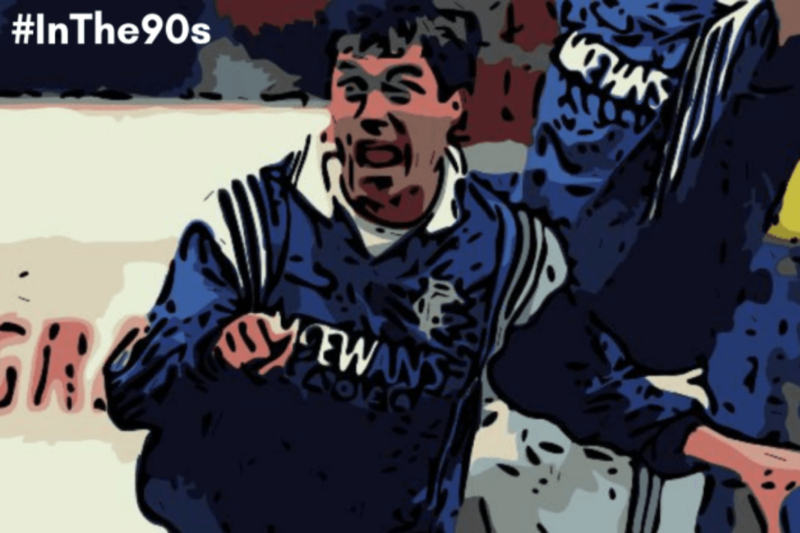 Looking at my football club, Rangers, in the 90s and what it meant to me at the time. I started supporting Rangers before the Graeme Souness revolution and were now at eight-in-a-row with Walter Smith at the helm. I reckon I’m a ‘half glass full’ type of fan but when I look back, I realise we weren’t as all-conquering as I thought. Even with Paul Gascoigne, Brian Laudrup, Jorg Albertz, Andy Goram, Richard Gough and Ally McCoist all on form, we still managed to draw five and lose six games. A recently re-built team with a rookie manager in 2019 has, at the moment, lost five and drawn nine, with nowhere near the same calibre of player. Looking back has given me a greater sense of perspective. Smith had a stable squad with a solid spine and added a few, genuinely top-class players. Of the current Rangers team, Alan McGregor and Alfredo Morelos would be the only players that would make the nine-in-a-row squad. I honestly thought we’d only lost two or three games a season with Gascoigne and Laudrup in the squad. Far from it. We weren’t great in Europe either. This was a bit of a false dawn season in Europe. In the qualifying round for the Champions League group stage, we were drawn against Alania Vladikavkaz. A relatively unknown quantity but they were the champions of Russia, being honest it was a tough draw, or so we thought. Winning the first leg 3-1 at Ibrox left room for doubt that all was not safe, especially given our previous away record. 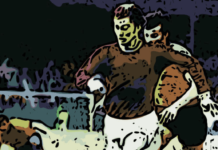 One of Rangers’ most incredible European performances in Russia led to a 7-2 victory. Ally McCoist, who was about to turn 34, scoring four goals over the two legs including a hat-trick in Russia. Duncan Ferguson, Oleg Salenko, Peter van Vossen and Erik Bo Andersson had all been bought as replacements for the ageing McCoist but none had been able to successfully. He was still getting 20 goals a season. There was to be another heir apparent bought later in the season in the shape of Chilean Footballer of the Year winner, Sebastián Rozental. An award that carried some weight given the attacking competition of Iván Zamorano and Marcelo Salas. Rozental’s story is a tragic one. He came off the bench on his debut, playing around 10 minutes as is customary. He then scored on his first start the next game against St Johnstone. It was a cultured finish too. I always think how a striker deals with a 1 v 1 is as big an indicator towards their ability as you’ll get. Think Thierry Henry and Alan Shearer. Then think Romelu Lukaku and Alfredo Morelos. The best always know what they are doing. Rozental injured his knee in the first half, he thinks, as early as the second minute. He didn’t want to come off, it was his first start remember. At half-time, he was substituted and he was never seen again that season. An investment of £3.5m gone after 50 minutes of competitive football. More importantly, the promising career of a 21-year-old Chile international in tatters. He had ruptured his anterior cruciate ligament (ACL). To make matters worse, his operation wasn’t a success and he wouldn’t reach double figures in appearances for another three seasons. I’ve always felt, along with Oleh Kuznetsov, that this was the biggest ‘what if?’ player that got injured. Daniel Prodan was world class, but we signed him when he was injured. 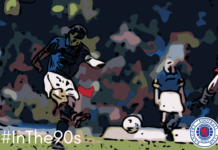 Michael Mols had signed when he was at his peak and we got to see what it was for a few glorious months. Rozental was cruelly denied that opportunity, at 21 he had the world at his feet. There was genuine excitement about Rozental and it was a coup to get him. People say Smith didn’t do enough to replace McCoist and Gough etc., but he did. Alan McLaren had to retire at 27 when he should’ve replaced Gough as captain. Stephen Wright was signed as a long-term replacement for Gary Stevens but he also ruptured his ACL. Even in Smith’s final year, he made signings that would’ve been enough to see the league title secured but saw them miss most of the season through different injuries. It always seemed to be big money signings too. There was a young player at the club that Rangers fans hoped would one day replace McCoist. Darren Fitzgerald. There was another notable youth player who made his debut this season and perhaps had he played more the following season things might’ve been different, but that’s another story. Fitzgerald was an 18-year-old Northern Irish youth international who had risen to prominence in the reserves. Scoring 50 goals a season gets you noticed, especially pre-internet when you read the club magazine ‘Rangers News’ to get all your information on up and coming players. This was when the reserve league was mainly first team players and a few youngsters. The top ten per cent in elite sport is just that, the top ten per cent of your body. It’s all in the head. We can only assume that Fitzgerald lacked the psychological fortitude to succeed at the highest level. He made one solitary appearance for the first team. Even after he left Rangers he never played any higher than the Northern Ireland Premier League. It’s that strange thing with goal scorers, the goals are the same size at every level and Fitzgerald was as natural a finisher as you will ever see. If only you could bottle confidence, arrogance and self-belief. This season, Celtic were starting to get their act together. A front three of Jorge Cadete, Pierre van Hooijdonk and Paulo di Canio would sweep aside most teams, most weeks. They were certainly good enough to add more pressure on Rangers and not give them a free run. Two key additions for Rangers in the summer were Swede, Joachim Björklund and the big German, Jorg Albertz. Björklund to replace Alan McLaren and Albertz to add younger legs in the engine room. Jörg Albertz averaged over 16 goals a season in his five seasons at the club. He was rarely injured and could always be relied upon on the biggest stage under the most pressure. Is it controversial to say that Albertz was better than Gascoigne given his longevity and on a par with Laudrup? For Gascoigne’s goal v Aberdeen, Albertz did similar against Celtic. He scored in Champions League games, Old Firm games, big cup games, the lot. Again, it’s only when you take a look back that you really appreciate these players. He certainly suffered by comparison but he also won as many games either by scoring outrageous goals or from perfect delivery to create a chance. Any team would kill for Albertz’ numbers from midfield and left back now. Albertz was double digits for goals and assists every season, an incredibly rare commodity. He’d still get abuse on Twitter nowadays though, just ask James Tavernier. Rangers lost four out of the last eight league games having lost only two in the previous 30. It’s fair to say Rangers limped over the line. The pinpoint left foot, half volley, cross from Charlie Miller to the rarest of Brian Laudrup headers at Tannadice is burned into the memory of every Rangers fan. What isn’t is that this was Alan McLaren’s last game for the club before succumbing to his knee injury, captaining the club to nine-in-a-row isn’t a bad way to bow out I suppose. The ninth league title in a row secured and the league cup in the bag making it a decent season all round. The attempt for the record-breaking 10 would require re-enforcements. Goram was an unhealthy 33, Gough, 35, McCoist, 34 and key players like Gascoigne, McCall, Ferguson, Durie and Durrant were all in their 30s too. Apart from the departing Gough, the core of the squad could hardly be described as gym monkeys either. Either way, the next season would be memorable. There would be an Italian invasion at Ibrox as Smith spent big, ten was in the bag. Spoiler alert, it didn’t quite go to plan.